I can't even, either, with SO many things about this book! I want to go back to the Night Court so badly, and we're stuck waiting for probably another freaking year before that happens! :'( And it had better happen, LOL! I've only just started reading this and I'm not sure how I feel about it yet. But I'm only 10% in so I feel like I have time to adjust as well. I hope I love it as much as everyone else seems to! I agree with the world-building so far and making the Night Court come to life. I keep rereading over descriptions to make sure I have the right image in my head because it seems so vast and beautiful. I was just awestruck by the descriptions of the Night Court. SJM's world-building just gets more and more phenomenal with every book. I had a few mixed feelings about the beginning of the book, but then it just took off and I was completely mesmerized by it. I hope you love it by the end! 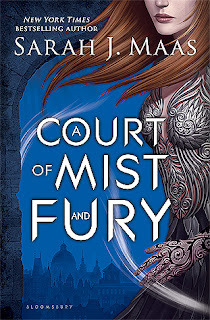 Since ACoTAR wasn't a fantastic read for me, I've decided I'm not going to be continuing with this particular series, but I'm glad that this was an enjoyable read for you, Lee! It's awesome when a sequel ends up being as good (or there abouts) as the first book, and whilst I think I would have struggled with various elements in this one, it's great it worked for you! 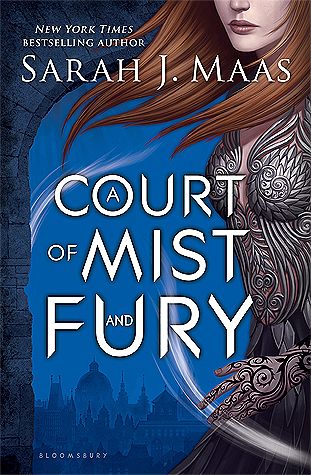 It's interesting that Feyre goes through the same abrupt personality change as Celeana/Aelin. I wasn't actually too bothered by that in QoS, since I kind of felt where she was coming from, but I can see how it was still quite hard to adjust to- you've spent 3-4 books with one character, grown to love or hate them, and then they are almost completely different. It's not something you expect to happen without some character growth along the way. That isn't something I expected would happen with Feyre, although it's good to hear you weren't too troubled by it, what with having time to get used to how she was different. Adapting to change, even when it happens to fictional characters, lol, isn't one of my strengths, so I really appreciated having all those pages for everything to sink in. Now I'm wondering what the page count will be for the final book- I'm thinking I may not be able to lift it! Oh my gosh!! I need to read this book so bad!! Just reading your review had made me want to read it so much more and I am now even sadder that I don't own this book yet! I'm so excited to read this book!! I think what makes me this excited to read this book is because I have no doubt in my mind that it will be a fantastic book! Its Sarah J Maas, I have no doubts!! Such a great review Lee! I'm so excited to read this book!!! I plan on starting this series when there is another one out even though I've already bought them. I get so sucked into her reading that I enjoy getting to read some in a row. I'm really glad to hear that she continues her excellent way of writing and surprising the reader fully while still making it work well. I can't wait to see where this story goes!! It also sounds like the characters are fantastic. Thanks for not giving too much away here - Lovely Review! !